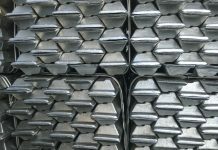 Agreed, the U.S. stock market (SPY) (IWM) (QQQ) is the largest stock market in the world. With $27.35 trillion in market capitalization, it accounts for 39% of the total stock market capitalization of the world. However, deeper introspect into this the U.S. Stock markets’ data reveals that there is another side to this story. 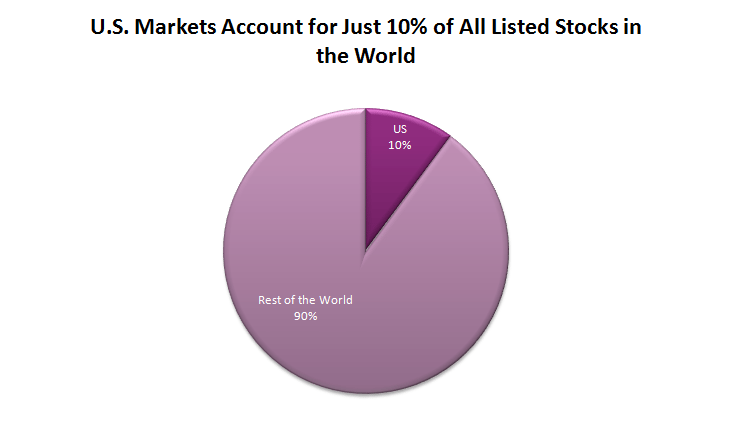 Looking at the number of listed companies worldwide, the number of companies listed on the U.S. stock markets accounted for just 10% of all listed stocks in the world. December 2016 data reveals that India (EPI) (PIN) (INDA) (INDY), an Asian emerging market (EEM) (VWO) sports a higher share in world listed stocks, at an 11.3%. 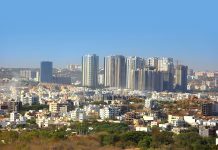 India had 5821 of its companies listed on an exchange as of December 2016, while the United States had 5204 companies listed. The total number of companies listed worldwide stood at 51,632 as of December 2016. 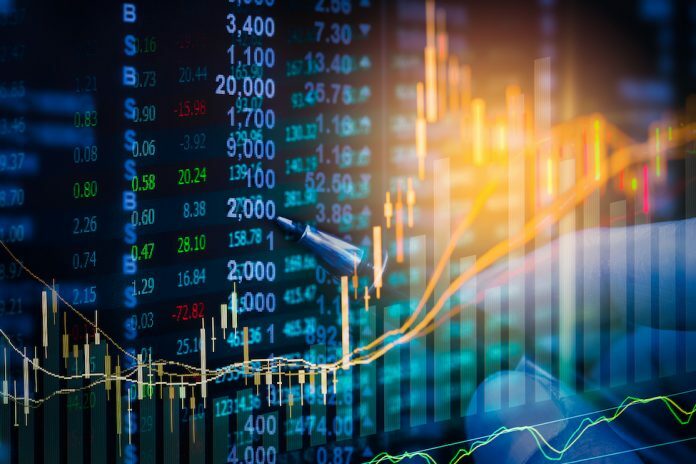 Other big stock markets such as China, Japan, and France represent 5.9%, 6.8%, and 2% of the aggregate number of listed companies in the world, respectively. 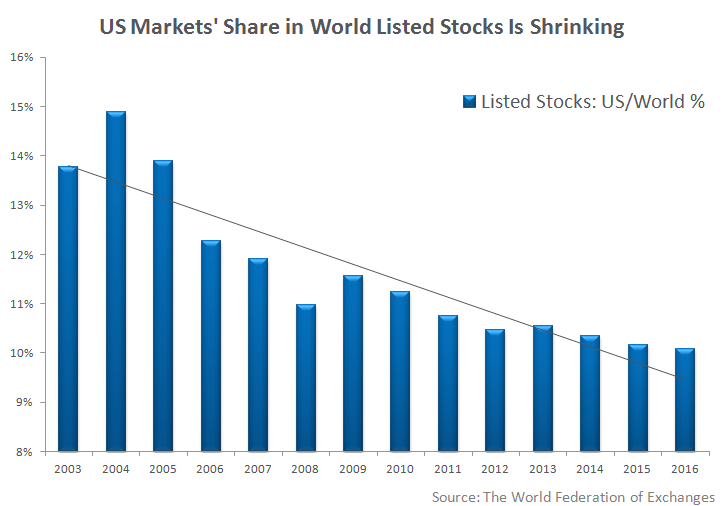 Another interesting observation here is that the share of US companies in the world stock markets is shrinking, as also evidenced in the chart below. Back in 2003-04, listed U.S. companies represented a decent 14-15% of the total number of listed stocks in the world. This share has been reducing over the years. Listed U.S. companies now account for just 10% of the total number of listed companies, worldwide; and shrinking. So, for those investing in the US market and looking for growth stocks, it may be worthwhile to take a second look at the market, on a relative basis. From what we’ve observed; the world’s largest equity markets are not the fastest growing markets. Read, Searching For Growth Stocks? The Answer Is Emerging Markets, Not The U.S.